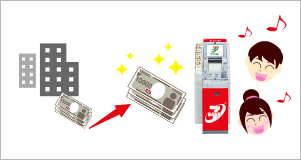 Seven Bank can be used to receive your salary ! You can receive your salary or your part-time wages. Deposits and withdrawals are free of charge between 7:00 to 19:00. You can make domestic money transfers anytime you want ! * There may be an additional charge for use of an ATM depending on the time of the day. Place your savings on Time Deposit! 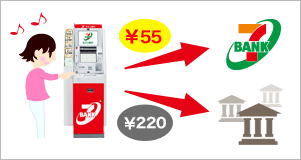 You can easily set up a transaction anytime using Direct Banking Service or at Seven Bank ATM's. 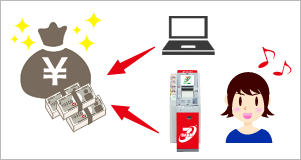 To learn how to place a Time deposit using the ATM please check this tutorial video. * For further details, please check here(Japanese and English). Our multilingual ATM and help desk will support you in 9 languages ! Your ATM transactions and help desk for your queries are supported in 9 languages. * Some transactions may only be assisted at our Customer Center.